This 3 sided frameless freestanding shower enclosure is at the top end of the bathroom market for design and quality. Manufactured out of 10 mm toughened safety glass this shower enclosure has the thickest glass on the market which gives both perceived quality and good rigidity. 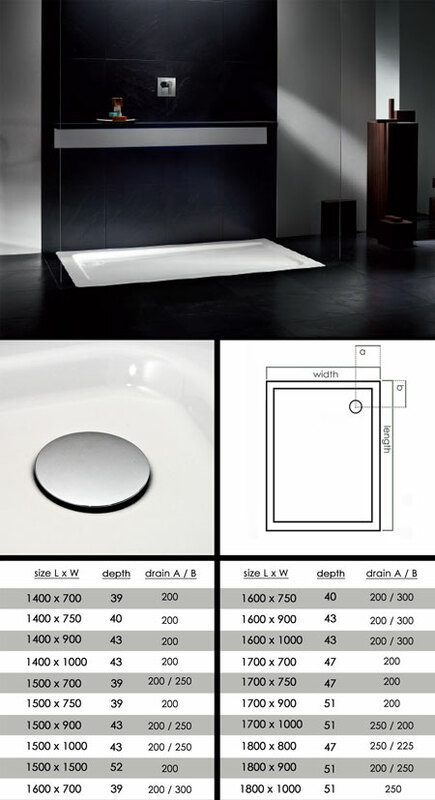 With this shower we offer the choice of recessed channels which are built into the tiles for a more minimalist look or surface channels which are fixed onto the tiles for easier installation. Either way this frameless enclosure is an impressive design choice. bespoke sizes to special order. * Manufactured in the UK. * Recessed or surface channels.